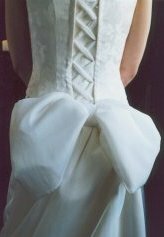 Silk Damask bodice with chiffon tie, lined in pure silk. 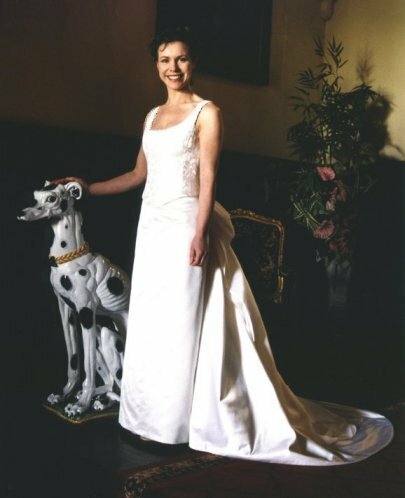 Skirt in Duchesse Satin, lined in silk with silk underskirt and detachable train net. 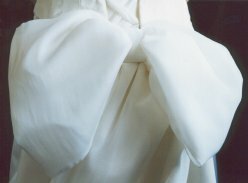 Detachable smooth chiffon bow, reinforced with silk Organza.